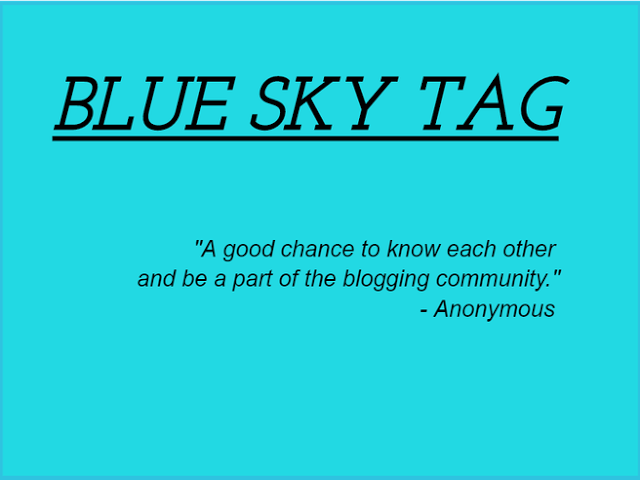 Well, I've been so busy lately but I hope I'm not that late for doing this 'Blue Sky Tag' post. Answering questions or doing this tagging post had always been so much fun especially when you have no idea on what to post. So thank you Farahz for tagging me. 1. What was the last song you listen to? Describe about it. I listened to some music while driving this morning and it was Martin Garrix's Animals. The song is my all time favourite from him. I don't really know what to address the song (or track?) as it doesn't have singing in it. I first fell in love with such songs when I discovered people do covers of these songs using drum pads. I really enjoy Martin Garrix, Skrillex and Alan Walker. 2. What kind of music do you prefer to listen when you're driving? This actually depends on my mood. If I feel like speeding, I'll listen to fast beat songs especially hip hop such as Holup by Bobby. If I feel like driving peacefully, I'll listen to Ballad. I don't care if they don't consider as 'band' but I love them; BIGBANG, 5SOS, Fall Out Boy, 2NE1. Oh, I forgot to mention BLACKPINK, One Direction, iKON, Winner. Oh, and Twenty One Pilots, New Empire, Arctic Monkeys and the list goes on. 4. Do you prefer cheap but delicious food at mamak/warung or expensive and delicious food at hipster/famous cafe? I'm okay with both (warung and hipster cafes) but not so much for mamak. I can only eat their roti canai. 5. What is the thing that you're good at? Okay, guess I'm good at drawing? Check out my works. I've been single for the past 7 years and during that period my friends are my lover(s) so I would always choose them over my future lover. Not friendly. Blunt. Bad temper. Love money and food. But despite all this, please still be my friend teehee. I'm in a love-hate relationship with my job now. Sometimes it bores me to death but sometimes I love it that I don't wanna leave the office. You can read more about it HERE. When I was 16 years old (wow that's a long time ago). It began as an assignment, and then for fun and fame and now it's a hobby. I've written about point 9 and 10 in a post HERE. My face on the right sidebar. Okay, no. I love everything about my blog. I never regret whatever I wrote because they all came from my heart. But I do want to have my own domain and purchase at least one premium template. One day lah. So you read all 11 questions I've answered? Thank you! Siqah pun tak kisah samada mamak atau cafe hipster. Depend on mood gak lah nanye. Cuma kalau pergi mamak, teh ais wajib order. Hihi. Betul tu, teh ais mamak memang paling terbaik! More people doing the tag! wuuu. Farahz's question need a lot of thinking as mine was far relax so I just answer so nonchalantly. hahaha. I totally don't understand how Animal got famous, my sister love it so much and once i hear it I was like, what even?? Yeah, those kpop group is not a band but who cares kann. btw, love me some money and food as well! Kuciwa sikit you didn't tag the one you tagged for Sunshine Blogger Award last time haha. I know most of us would love money and food! 2. Woah you listen to ballad? Me be like, pushing the radio and berserah jer apa yang ada. Or I even listened to my own voice to keep my eyes open hehe(I have a long journey in back&forth workplace). 11. dont worry lya, u'll have ur own domain sooner. Amiin :D just go with it. Honestly I'm a universal song listener lol. I enjoy listen to every genre, every languange songs, except for heavy metal. Haha. Been procrastinating on purchasing the domain but will definitely do it before ending the year hihi.